Join us for an end of year event to celebrate the successes of the South-East QLD screen industry this year with a panel followed by festive mingling! The event will start with a discussion panel with local screen practitioners about some of the successes and learnings of 2018. Our three speakers have had an incredible year as part of the Gold Coast Screen Industry. Blake Northfield produced and shot his third feature film ‘Escape and Evasion’ in Currumbin Valley earlier this year, Anna Waters-Massey sold her web series ‘Stage Mums’ to Channel 10 and is now the first webseries airing on Channel Eleven, and Darren Paul Fisher won the Australians in Film/Screen Queensland Greg Coote Scholarship and spent eight weeks working in an eOne Entertainment writers room in Toronto. Whether you’re a writer, director, producer, stunt performer, editor, camera operator, make up artist or any other screen industry practitioner, come along and meet new people in the industry and hear about what’s happening on the Gold Coast. Tickets are $12 (+booking fee) online in advance or $15 on the door (cash only). Cash bar available. 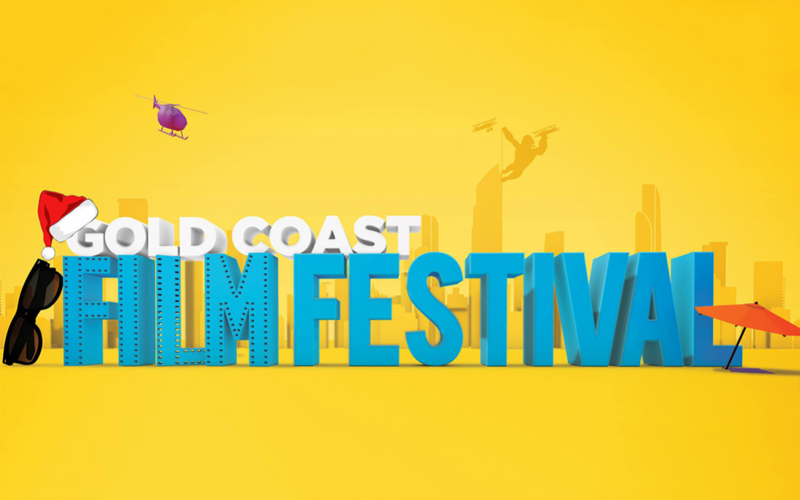 Stay up to date with the Gold Coast Film Festival.